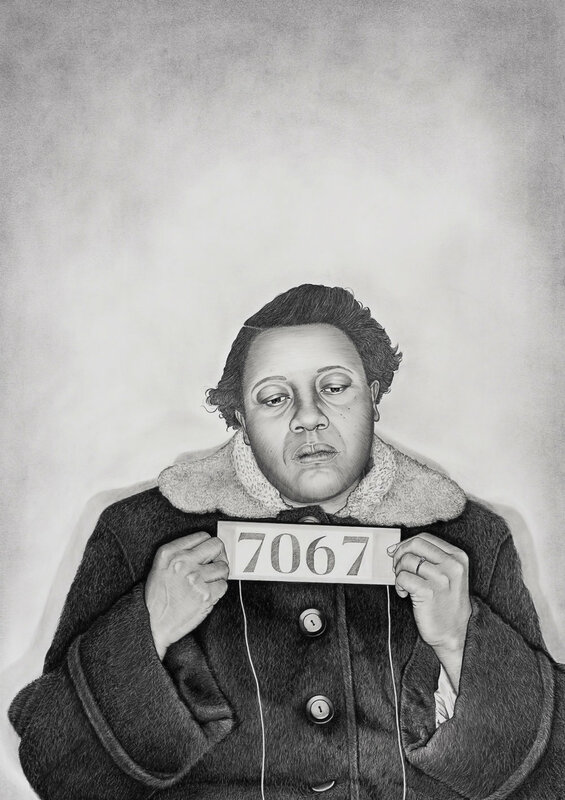 Mugshot Portraits: Women of the Montgomery Bus Boycott, takes a contemporary look back at a powerful, yet under acknowledged legacy of black women’s activism through a series of graphite and conté pencil portraits based on mugshots of women who were indicted under Alabama’s anti-boycott laws. 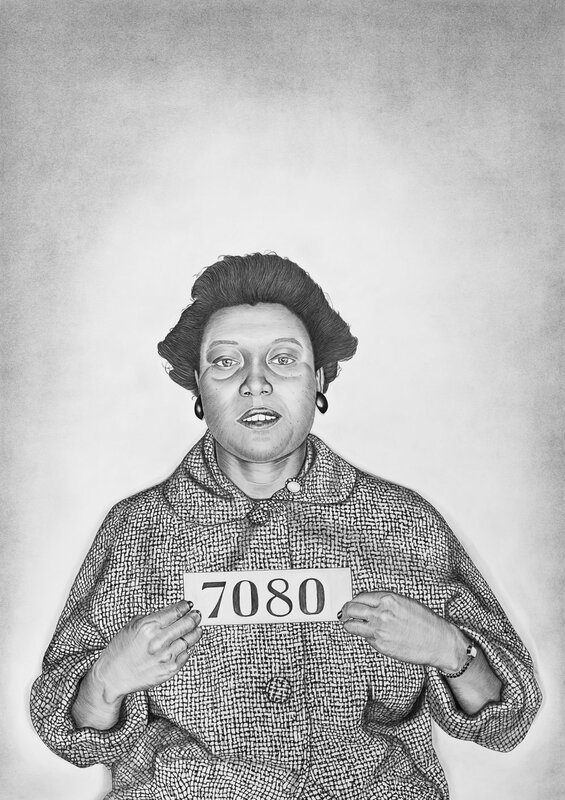 While mugshots aim to dehumanize and criminalize, the life size, highly detailed portraits offer a counter narrative, illuminating the leadership and sustained labor of women to the boycott’s success. The series is in dialogue with the current political and social climate of the country: the resurgence of white nationalism, the rise of racial hostility and lethal violence, the ascent of white male supremacy in the Executive Branch of government and the methodical erosion of Civil Rights laws and protections by the current administration. Exhibition view of Mugshot Portraits: Women of the Montgomery Bus Boycott. On view at Rena Bransten Gallery through October 27th.